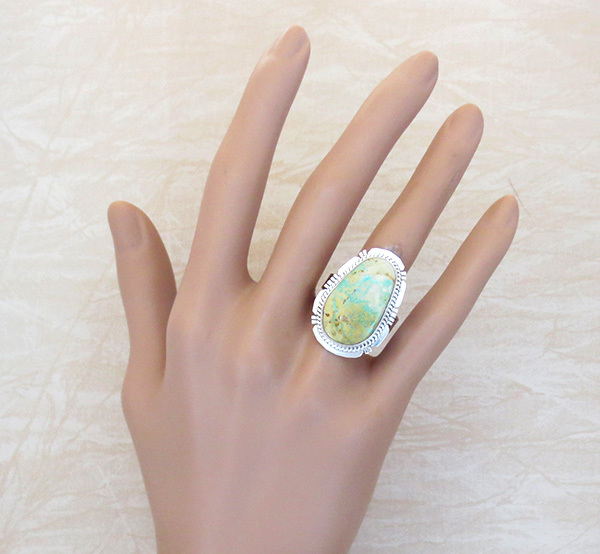 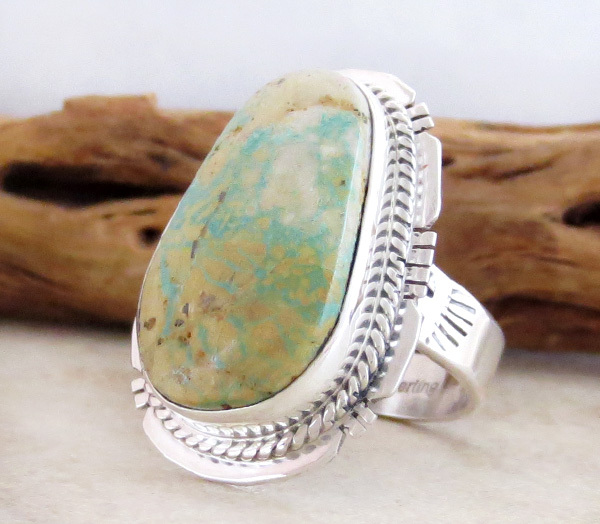 This ring is a size 9 and was created by Navajo artist Sampson Jake. 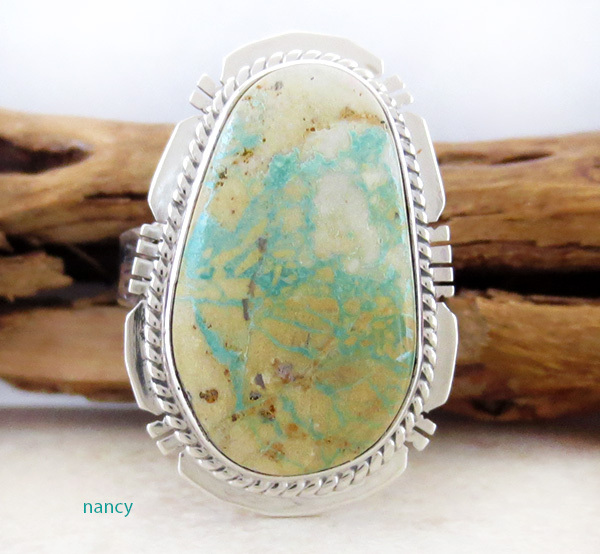 The turquoise stone has pastel colors of greenish blue and beige/ gold. 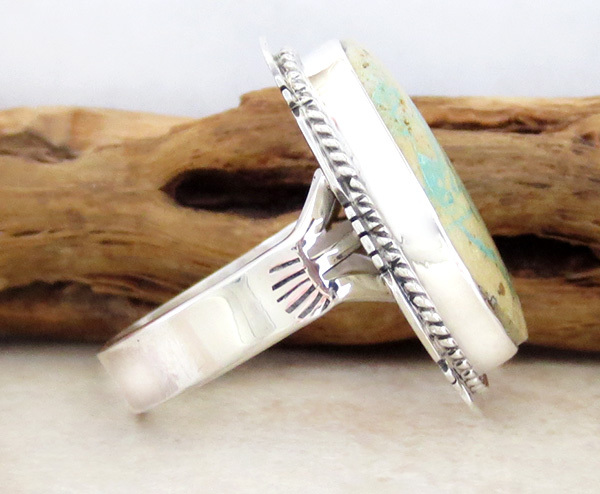 It has a wide sturdy split shank band with a bit of stamp work. 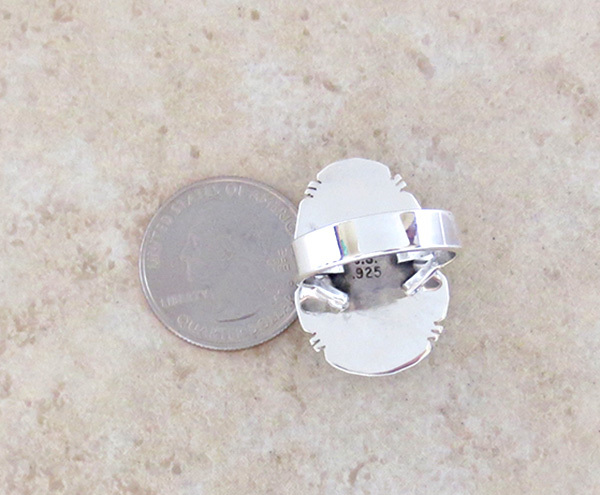 It measures 1 1/8" tall by almost 3/4" at it's widest point.